Contemporary home plans offer clean lines, simple proportions, open layouts, and abundant natural light. Most contemporary homes have large expanses of glass, a strong connection to the outdoor space, and plenty of wall space. 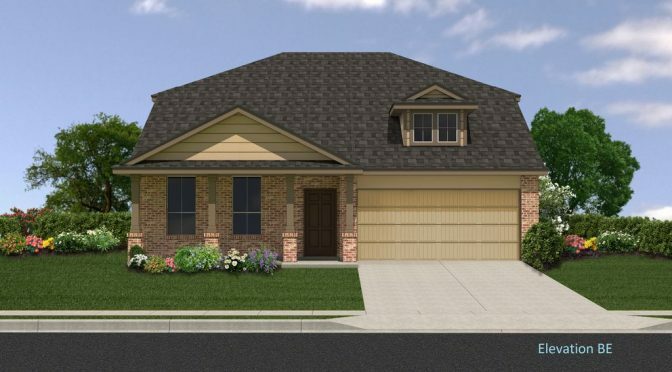 The Oxford floor plan in Lakeview is no different. This popular contemporary floor plan features an open layout with tons of windows inviting natural light into the living room and dining room areas. All of the windows feature 2-inch faux wood blinds for blocking that sunlight when you don’t want it. The first night in a new home often centers around unpacking, relaxing, and then eating. In this beautiful contemporary home you won’t want to order in. The kitchen features stylish granite counter-tops and espresso stained cabinets. You get to enjoy the upgraded stainless steel appliances including flat top stove, built-in microwave, and a dishwasher. Enjoy your meal in the dining room or living room. There’s plenty of space for the whole family! Or take your meal outside to the patio. The fall is a beautiful time of year in Texas, and it’s ideal for having family dinner outside. The master bedroom is located in the exterior of this floor plan – opposite of the the other three bedrooms – so there is plenty of privacy from the kids or other family members. The master bedroom includes a large walk-in closet. Complementing that closet is the spacious master bathroom complete with dual vanities and an upgraded tub with shower. The three guest bedrooms are well sized. Each one has a closet, plus a linen closet and full bath separates the rooms. 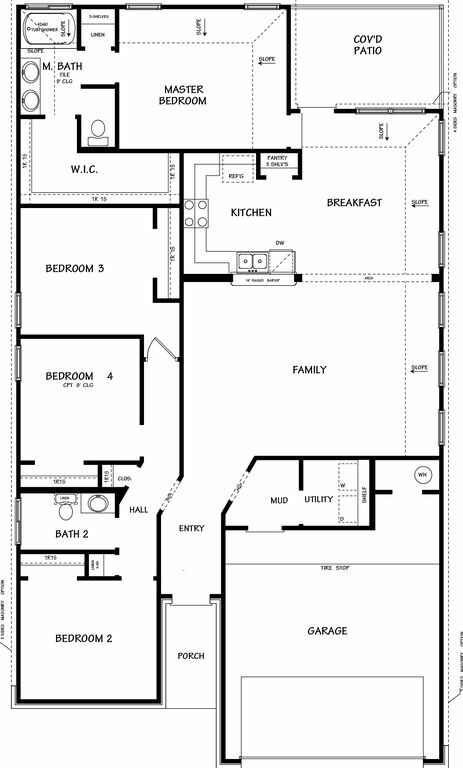 This floor plan includes a separate utility room with washer and dryer connections. Connecting the garage and utility room is a mud room – perfect for leaving shoes and hanging up coats. The garage comes finished with an automatic garage door opener and two remotes. Exterior home features include a professional landscaping package and full privacy fenced-in backyard. The entire lot has St. Augustine sod, which is known for being a strong and drought tolerant grass. Want to take a 3D Virtual Tour of this home? Killeen is a very family-centric town with nearly 40% of the households being married families with children. If you have a family or are planning a family, Killeen is a welcome place to settle in. The average age in this neighborhood is 27 years old. Read More About the Neighborhood. Priced at about $155,000, the monthly payments on this home are very affordable for a first time VA buyer. Those payments are approximately $1,050 including real estate taxes and insurance. Contact Eleonora for details today. *Certain conditions apply.